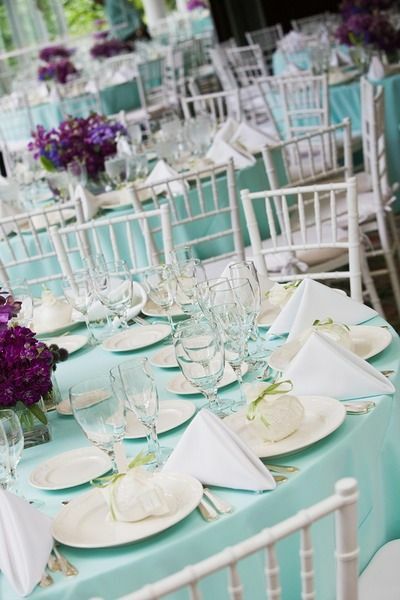 No need for a something blue when you choose the colour to decorate your wedding day! You’ll have many something blues. Feel the style blues come on as you peruse the following oh-so-hue blue wedding colour inspirations for your wedding day! 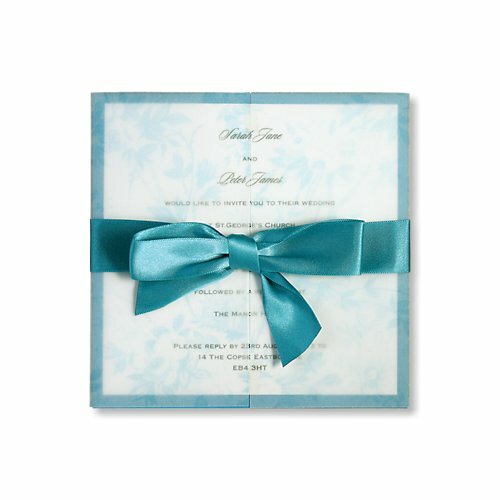 Whether you’re a classic cutie or vintage Princess, the Jasper Day Invitation in teal may just suit your wedding look. The layered gatefold invite showcases a semi-transparent cover with light blue florals and buttoned up with a satin blue ribbon in a deeper incarnation. 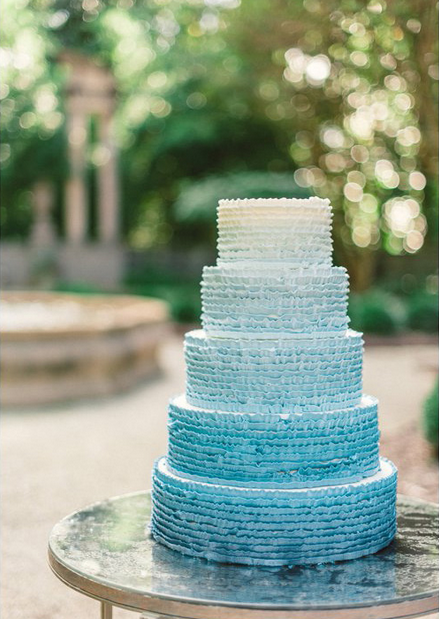 This cake reminds us of a mermaid for some reason! It’s ombre layers almost look like scales, in the un-fishiest of ways, as they travel from a creamy white with blue undertones to a medium-deep, rich aqua. It doesn’t need any additional embellishment because it’s so lovely just the way it is…hmmm….like you! We just so happen to be updating our selection of invitations in time for 2018, so if you’re planning a blue coloured wedding and are in need of complimentary styles and colours, you’ll be sure to fall in love with our range of wedding invitations. These showstoppers will have you skipping down the runway, er, aisle! Yes, sireee! 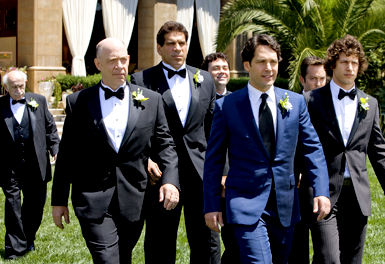 Oh wait, that’s Paul Rudd…well, one can still dream. Ha! Kidding. We love his blue tuxedo-suit (from the movie I Love You Man), and if you’re having a blue wedding, we say, why not outfit the groom in the colour?! Your pretty white dress and blue accessories will pop standing next to groomy in this swoon-worthy getup. Whether you choose to do a garter toss or not during the actual wedding day, it’s still fun to wear one—even if your new hubs doesn’t discover it until after the wedding is over! 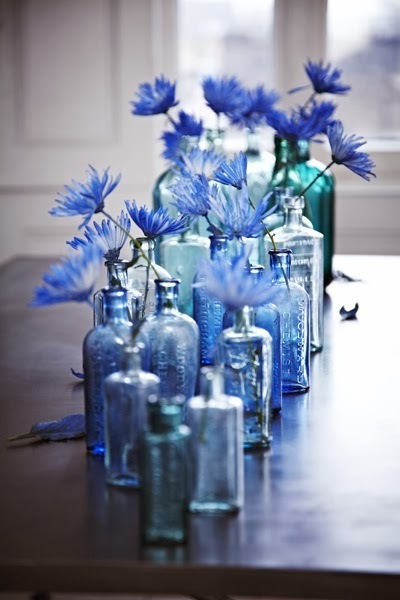 Did you choose blue for your wedding colours? What was your favourite blue accent?